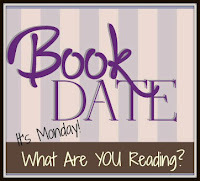 OK, so I got 20 posts in 7 days, which was a pretty awesome week, lots of amazing books, and yeah, a really week coming up! Can't wait to read it! What about you guys? Happy reading! 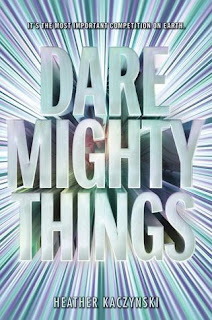 So this week I want to read Dare Mighty Things, The Potion Diaries, Royal Tour, Going Viral, Legacy of Light, and Zero Hour. The Selection meets The 5th Wave in this heart-racing debut duology about a girl competing for a spot on a mysterious mission to the outer reaches of space. Eighteen-year-old Cassandra Gupta's entire life has been leading up to this—the opportunity to travel to space. But to secure a spot on this classified mission, she must first compete against the best and brightest people on the planet. People who are as determined as she is to win a place on a journey to the farthest reaches of the universe. As the days until the launch tick down and the stakes rise higher than ever before, only one thing is clear to Cassie: she'll never back down...even if it costs her everything. 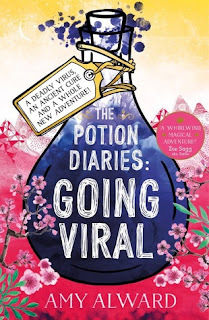 Sam Kemi is off on another Hunt around the world, chasing secret potions and magic diaries in the second novel of the "charming and humorous" (Kirkus Reviews) Potion Diaries series. When someone goes after her grandfather, stealing his memories and priceless knowledge, the Kemi's Potion Shop is forced to close and Sam is left scrambling for answers—without her grandfather's help. Part of Ostanes's mind is trapped in those memories, and without them he's lost and confused. And the more time passes, the worse his condition becomes. Hoping to reverse the effect of dark potions on the body, someone is looking for the recipe for aqua vitae—an elixir that can cure any illness—lost in the pages of an old Kemi family diary. But aqua vitae could also be the key to bringing her grandfather back, and that's all Sam really wants. Determined to find Ostanes's memories and the recipe first, Sam finds herself on the most important and perilous Hunt of her life. There's trouble in Nova and the citizens of the kingdom must once again put their faith in Samantha Kemi to save the day in the final novel of the "charming and humorous" (Kirkus Reviews) Potion Diaries series. After the royal tour, Samantha Kemi thought she could take a break from saving the day. Her grandfather Ostanes is healthy, she's about to be named a Master Alchemist, and Princess Evelyn is happily married to Prince Stefan. Except—Sam has no proof that Evelyn is happily married because she hasn't seen the princess in days…Prince Stefan is now the public face of the Royal family. Princess Evelyn has gone MIA just when Nova (and Sam) needs her most. A surge of magic is spreading across the country—like a virus—and every Talented person is suddenly more powerful. With the Talenteds getting stronger, Ordinary people begin to worry about an imbalance in the magic streams—and in society. 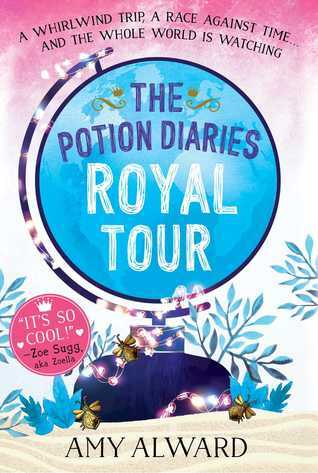 When a group of Talented kids—Sam's sister Molly Among them—are attacked with a powerful sleeping potion, Prince Stefan is convinced that the Ordinary people are taking a radical stand against Talenteds and reinstates the old ban on traditional alchemy. Now Sam's hands are tied. 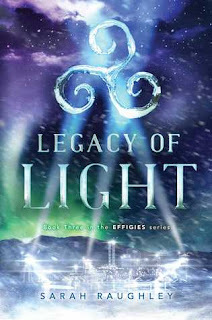 Does she trust Nova's scientists to find a synthetic cure to this curse, or does she break Stefan's royal decree and use her skills to save her little sister—and possibly all of Nova—from a forever sleep? The Effigies must uncover the connection between Saul, Blackwell, and the Phantoms before it's too late in this epic conclusion to the Effigies trilogy. After Saul's strike on Oslo—one seemingly led by Maia herself—the Effigies' reputation is in shambles. Now they’re being hunted by nations across the globe, grouped in with the very terrorists they've been trying to stop. With Maia's resurrected twin, June, carrying out vicious attacks across the world, everyone believes Maia is a killer. Belle has gone rogue, Chae Rin and Lake have disappeared, and the Sect is being dismantled and replaced by a terrifying new world order helmed by Blackwell. As for Saul, his ultimate plan still remains a mystery. And Maia? No one has seen or heard from her in weeks. It's all somehow connected—Saul, Phantoms, the Effigies, everything. But if the Effigies can't put the pieces together soon, there may not be much left of the world they've fought so desperately to save. As a teenager, Audrey Harte went to jail for murder. 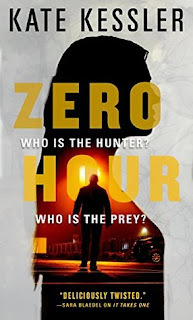 Now, she uses her own experiences to help catch dangerous killers. Richard le Duke is the most ruthless serial killer criminal psychologist Audrey Harte has ever encountered. When Richard's son -- and suspected accomplice -- is arrested, police hope they have leverage over Richard to get him to release his latest victim. Instead, they find themselves up against a mind almost as warped as his father's. Matthew le Duke will give up his father's location on one condition: Audrey tell him every gruesome detail of her own dark past. If he doesn't contact his father within the hour, a young woman will die, and her murderer will escape. All Audrey has to do is finally reveal what happened that night -- and how it felt to make her first kill.